We all know bicycle helmets are there to protect our head and brain — and new technology is helping to make them increasingly effective at doing just that. 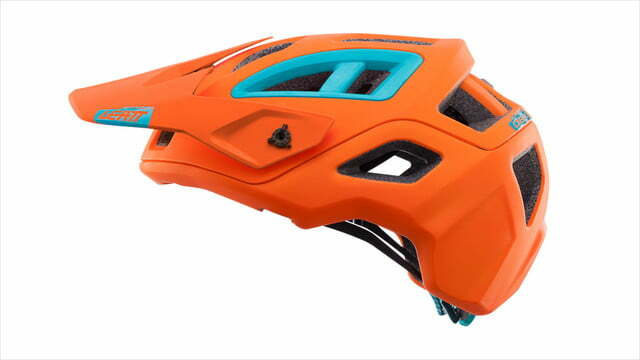 Along those lines, Leatt has created an innovative new safety innovation with its 2017 All Mountain bicycle helmet. There is more to protect against than just impact. Equally important is reducing the brain’s momentum during said impact. 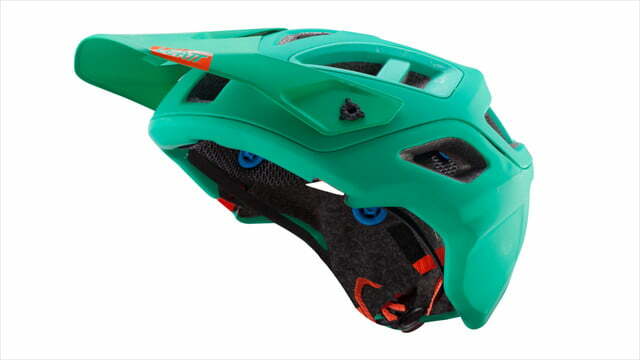 To that end, this helmet features what Leatt is calling 360-degree Turbine Technology. Spaced strategically throughout the helmet’s lining are little turbines made out of a rubber-like material called armourgel. Unlike rubber, armourgel is specially designed to harden on impact. The shape of each turbine grants it some rotational properties. When the helmet is struck at an angle, the turbines stretch and rotate to reduce the forces on the head. 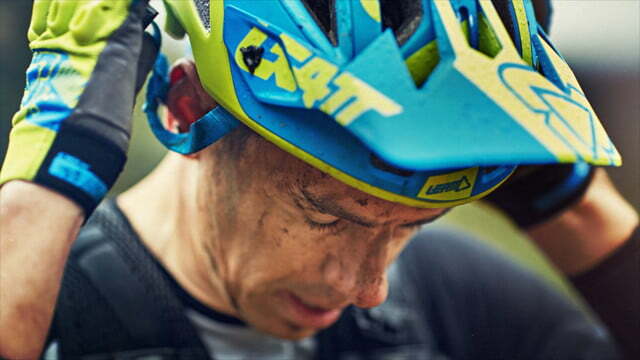 “The faster or harder you fall, the better it works,” according to Leatt. If a cyclist were to crash, the 360-degree Turbine Technology claims to reduce up to 30 percent of head impact at concussion level and up to 40 percent of rotational acceleration to the head and brain. Other safety features went into the design of the helmet shell and visor. Leatt found that by reducing the size of the shell by 10 percent reduces rotational forces by the same amount. Instead of just adding more material to improve impact resistance, the company found a balance between impact and rotational reduction. 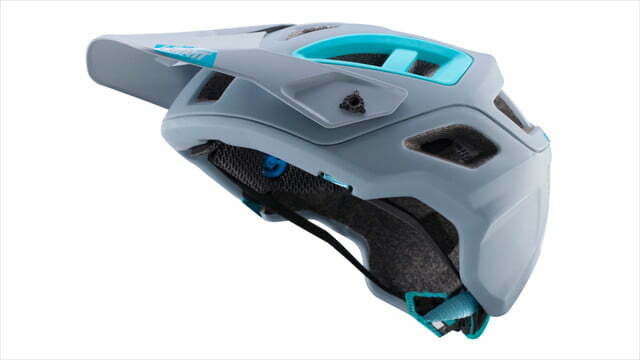 The visor also breaks away during impact by using attachment bolts that shear with minimal impact force. Each helmet comes with extra bolts. 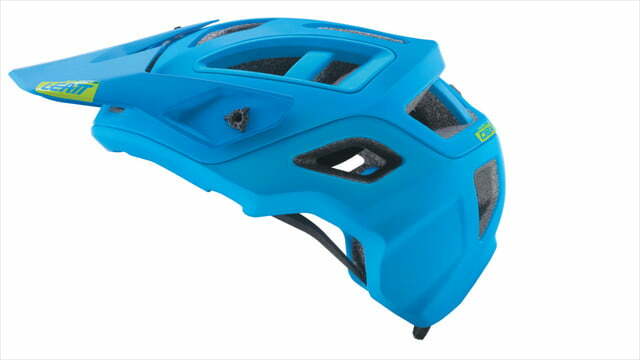 Aside from safety, the helmet’s design allows for maximum ventilation. With 18 large vents, the helmet remains effective even at low speeds. 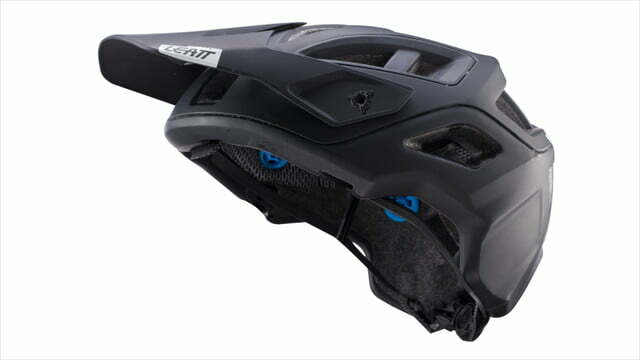 The Leatt All Mountain bicycle helmet is available through Amazon and other retailers for $170. Available colors include orange, gray, green, blue, and black.